‘Y' Services on Malta in WW II were a combine Services unit made up of Royal Signals Army, Royal Navy and RAF units these were and still are in some cases highly secret units working with Bletchley Park to feed information back to the Very Highest level of the Government and only when needed to a selected members of the forces to help win the war but only when the action taken could be covered in another way like a DF, spotter aircraft, radar or by a Submarine in the area. Malta only sixty miles from Sicily this tiny island became a highly important strategic base as a staging point for R.A.F bombing raids on Italian ports and Rommel's supply lines in North Africa. Consequently the island became a target for Axis planes which dropped more bombs on the little island than on the whole of England. The first output of trained operators from the SOTB Trowbridge was sent without embarkation leave to Gibraltar, Malta, Palestine, India and Singapore having qualified after four months training as Operators Special B3 with speeds of 18wpm for block capitals and 20 wpm for running hand. The first draft for Malta left Liverpool on board the Duchess of Bedford in August 1940; they went around the Cape of Good Hope and through the Suez Canal and then boarded a cruiser for Malta. The intercept station was first located at Id Duera overlooking the ancient city of Moina and then dispersed with a section at Valetta which after bombing six months later was moved to Salina Bay. The next large contingent for Malta was draw from the third and Fourth intakes at Trowbridge which also embarked on an eight week journey round the Cape on HMS Orontes in March 1941 and arrived on the 10 th May in Egypt to form the No2 Special wireless group (2 SWG) at Heliopolis. The 120 operators were trained in higher speeds and in German and Italian wireless procedures and were graded B2 when they were capable of 20 wpm in block capitals and 24wpm in running hand in July 1941 twenty operators and one DR left for Malta in H.M. Submarine Regent four on H. M. Submarine Thresher and two by Sunderland flying boat. They were urgently required to relive the hard pressed section there and doubled their numbers. These operators trained to cover mainly Italian links between Italy, Sicily and the Western Desert and also Italian and German wireless comm. 's in the Western Desert. They were also breaking low-grade codes. They staffed in addition to an intercept station at Dingly which they shared with Royal Navy ‘Y' section a new station at Salina Bay staffed mainly by Royal Corps of Signals . The intercepts were taken by D.R. 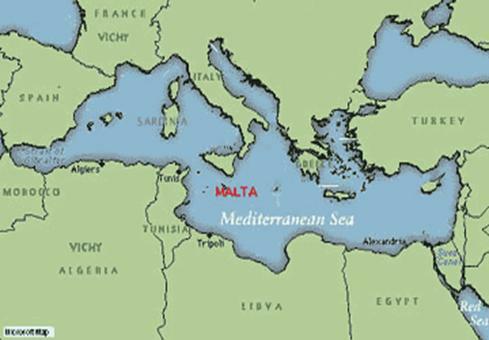 to Valetta a return journey of 18 miles by a team of four D.Rs and the intercepts were processed at Valetta for onward transmission to GC, CS via the Cable and Wireless submarine cable terminal and to Cairo (Heliopolis).